EDMONTON - Alberta politicians return to work Monday at the legislature to resume what is becoming an annual political-existential debate over the definition of debt. 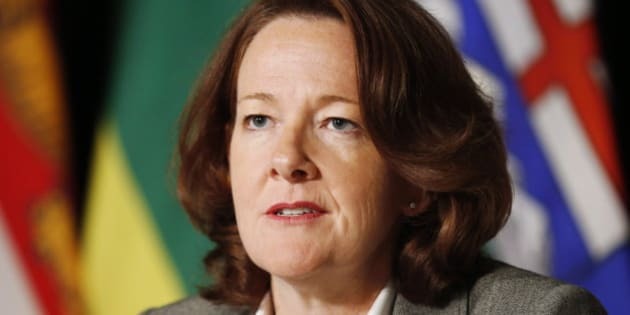 Is debt the destroyer of worlds, a "trap" that "has proven the death of countless dreams" as Alison Redford told the legislature in her maiden speech as premier in October 2011? Is it a "parochial" issue when set against the visionary quest to build a dynamic province, as Redford told reporters last March, a day before her government announced it was taking on $17 billion in debt? Debt, she said then, is not debt. It's "hope." If last year's budget and last week's third-quarter budget update are any indication, the only constant will be confusion on how to get to the bottom of the bottom line on how much Alberta owes. That changed last year when Redford's budget announced $17 billion will be borrowed by 2016 to build 50 new schools, improve roads and add 140 health clinics to take the burden off crowded emergency rooms. She also split the budget into three budgets: day-to-day spending, capital spending, and savings, erasing the one consolidated number that previously determined whether a budget was balanced, or wasn't balanced. In last Wednesday's third-quarter update for the current budget year, Finance Minister Doug Horner announced the operational side was $1.4 billion surplus, while the capital side was $8.5 billion in the hole. "Alberta is in a good financial position right now," said Horner. 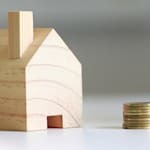 Further clouding the issue is the government's insistence that the debt is not true debt, but rather an investment, like a mortgage. "As a typical Albertan. I pay for my groceries and I don't borrow to do that. I have a mortgage on my house and that's what we've got on infrastructure," Redford told reporters last Thursday. "I don't know too many Edmontonians that would be too excited if we get a little cash-strapped we can always sell the Henday (ring-road freeway) and turn it into a toll road," said Anderson. "You don't want to sell your bridges, your schools, your community infrastructure. That's not what those assets are for. They're assets in human capital. "That's why government debt is much different from business debt and personal debt." "Thirty per cent of our program spending is funding by non-renewable resource revenue," said Mason. "Our budgeting process is like a yo-yo, and it's got to stop." Along with the budget, Redford's team is also bringing in reforms to public-service pensions and has promised new rules so the public can get more information on children who die in government care.